lower your stress levels but maintain your sense of motivation? better regulate your internal body to increase your health and well-being? improve your inter-personal relationships by heightening your sense of empathy and being more easily able to attune yourself to others? improve your ability to sense your intuition? be able to respond flexibly to situations rather than react reflexibly? Scientific research shows that mindfulness meditation promotes all these things, even within as short a time as eight weeks. group courses – these run one evening a week for a length of eight weeks. Advance booking is essential. Since taking the mindfulness course over a year ago, I have noticed such a change in my life. I have been able to separate my work and home life, and yet be fully absorbed in whichever environment I am in at the time; it takes really big things to get me stressed these days; and in general, I am a lot happier, much more of the time. At the start of the course, I found it a real challenge to do the homework and get mindfulness as part of my daily routine. But, I’m so pleased I persevered because now I know I always have one island of peace in every day, not matter what is going on in my life. Thank you. I took the mindfulness course because I had had a little experience of meditation during my counselling sessions during my cancer treatment. I found it was the only thing that would relax me enough to sleep, and it helped me to become more accepting of my illness and the pain which the medication gave me. 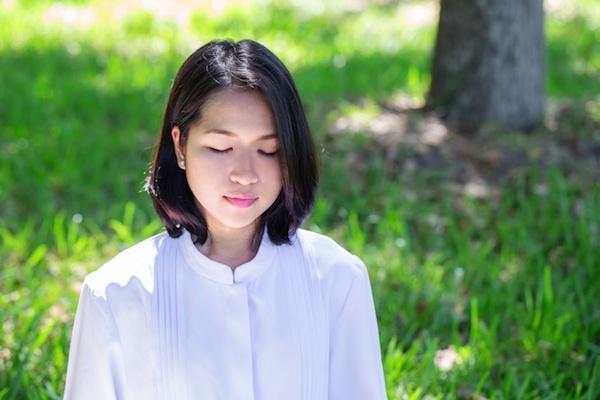 Despite these good things, I was surprised when on the course, to discover that my mindfulness practice also helped me to come to terms with some very old grief and anger from back in my childhood and young adulthood. Even though I had learnt the basics of meditation before going on the course, I got so much support and companionship from the other people in the group it became the highlight of my week. I took the mindfulness course specifically to help me change my cocaine habit. It was really tough because I found keeping still and quiet really boring at first, but my sister come along to support me and keep me on track. After a few weeks, I started to enjoy the mindfulness practice. It made a big difference to me at work where I always have way too much to do, and I started doing it on the train during my commute, so I got to work feeling in charge and calm. Although it was hard to keep going through the course, I’m pleased I did because, along with my one-to-one counselling sessions, it made it easier for me to make the changes I wanted to in my life.